Each New Angle Design Kitchen and Bath is created specifically for your home. Careful consideration to every detail helps us give you something we all can be proud of. Whether you're looking for a traditional design, something more contemporary, or anything in between; let us show you what we can do. New Angle Design was opened in 1999 by Ruth Thompson. She brings a total of 30 years experience to your project. As a firm we love designing kitchens and baths that are a little different. We put a sense of Wow! into all designs. Ultimately New Angle will transform your kitchen or bath, or any other interior space, into something truly unique. Hardwood Interiors & Design offers quality cabinetry, countertops, superior design, Marvin Windows and remodeling. 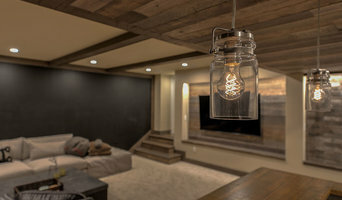 We are a cabinetry design center and showroom with our contractor's license, located in Morgantown, West Virginia with a reputation for exceptional design, outstanding products, services and installation. Our custom cabinetry line, WoodArtisan Custom Cabinetry, is a handcrafted, all wood cabinet that is still built the old-fashioned way in our woodworking shop in Oakland, MD. 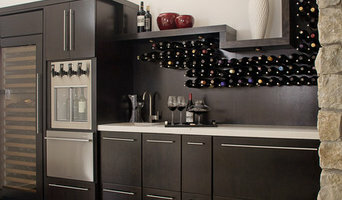 We also offer semi-custom cabinetry, Kraftmaid Vantage, an all wood product that is a premier line for dealers only. We provide a personalized experience to ensure that your ideas become a reality. Our custom WoodArtisan cabinetry and millworked products combined with the talent, enthusiasm, and experience of our kitchen and bath designers make for a stunning final project. We love what we do and enjoy sharing our experience and knowledge with our clients. 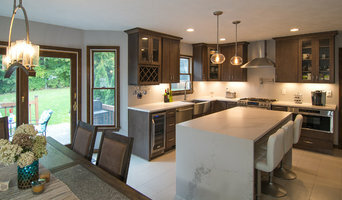 Kingswood Designs is a single source remodeler specializing in kitchen and bathroom renovations as well as custom countertop fabrication and replacement. We provide all designs, products and services necessary to successfully complete your signature renovation. Our goal is to complete each project in a timely manner and to exceed our customers expectations. A reliable bathroom and kitchen you will love from a team you can trust. Since 1999 ACR Kitchen and Bath is a design/build firm committed to providing every customer with authentic design, honest prices, and quality products all delivered by our experienced and professional teams. We are your one-stop-shop for all levels Kitchen and Bathroom Remodeling up to complete renovations. With a well-planned thought out approach we can assure you with a satisfied job every time. This all begins with the end user in mind, an inspection of the space and a follow up with exclusive un-interrupted showroom appointment for your selections at our design center. We proudly support products made in the USA. With our 10 year parts and labor warranty, we guarantee peace of mind. Now celebrating 30 years in business, Legacy Remodeling is a full-service remodeling company serving Western Pennsylvania. The largest specialty remodeler in the region, Legacy was chosen as one of the "Big 50" Remodelers in the nation by Remodeling Magazine. What does a Port Vue kitchen and bath remodeling expert do? 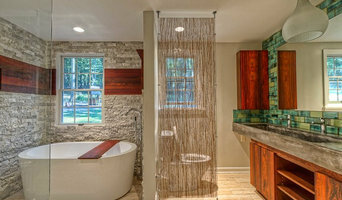 Licensed Pennsylvania kitchen and bath remodelers are contractors who specialize in altering the structure of an existing space, rather than building one from the ground up. Because he or she must deal with a previous builder’s work, the job can get more complicated than new construction. You might wonder why they often specialize in both kitchens and bathrooms, but if you think about those two spaces, they actually have a lot in common. Kitchens and bathrooms include an abundance of fixtures that require careful planning and installation, including sinks, faucets, tubs and toilets that all need water hookups and drainage. They also use similar materials, such as tile and stone for countertops and flooring, due to the nature of their use. So it makes sense that Port Vue kitchen remodelers and bathroom remodelers be one in the same. A bathroom or kitchen remodeler translates architectural plans from page to reality; some are also trained to provide design services so that you don’t have to hire a separate pro. Like a general contractor, a kitchen and bathroom remodeler in Port Vue, PA is responsible for hiring and supervising subcontractors and providing materials when necessary. They also should have a thorough knowledge of Pennsylvania building codes and construction-related legal issues, as well as current design and product trends. Here are some related professionals and vendors to complement the work of kitchen & bath remodelers: Woodworkers & Carpenters, Kitchen & Bath Designers, Interior Designers & Decorators, Architects & Building Designers, General Contractors. 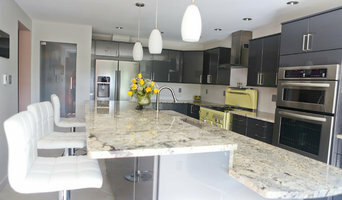 Find a Port Vue kitchen and bathroom renovator on Houzz. Narrow your search in the Professionals section of the website to kitchen and bathroom remodelers in Port Vue, PA. You may also look through photos of Port Vue, PA spaces to find kitchens or bathrooms you like, then contact the bathroom or kitchen remodeler who worked on it.